Holiday fulfillment and expedited freight deadlines are as much a part of the holiday season as cookies, cocoa, and hasty gift wrapping. Shipping managers are very much like the St. Nick of logistics, making sure every order is out—and delivered—on time and accurately to every customer. Between weather delays, unexpected inventory depletion, and rush order fulfillment, planning your winter shipping strategy is a crucial part of your holiday preparation. By being mindful of carrier schedules and deadlines, subsequent holiday surcharges, and familiarizing yourself with time-critical options, you will know which services best fit you and your customers’ needs. Sometimes, despite how prepared we think we are, a deadline catches up to us and standard shipping services just are not going to cut it. It’s important to understand the differences between shipping services offered, so that you can make informed decisions that meet your needs while not stretching your budget. Let’s take a look at whether your organization may benefit from time-critical shipping services during a heavy shipping season, and which services may make the most sense for your business. There are certain industries that may require expedited freight services more often, and on a more regular basis, not only during the holiday heavy season. Common industries using expedited services include medical, pharmaceutical, manufacturing, and particularly the automobile industry. It's crucial to understand that during the holiday season, there are going to be additional shippers using both standard and special expedited freight services due to time constraints, further congesting shipping lanes and significantly decreasing carrier capacity. Most carriers offer tiered services based on window of delivery, transit time, and dedicated truck type. We will look at the 4 most common types of special services for your urgent holiday shipments: guaranteed, accelerated, time-critical (one-day, two-day), and dedicated truckload. Let's use a freight shipment example, a one-pallet 500 lb load moving from popular shipping hub, Chicago, IL (60638) to delivery in San Francisco, CA (94107). For the purpose of this example, we will assume standard 8am-5pm shipping hours, regular, non-oversized shipment dimensions, and non hazardous materials. Typical transit time for this standard LTL service with most carriers is 5 full business days. Accelerated LTL shipping services are suited for shippers who are looking for a faster standard shipping option. 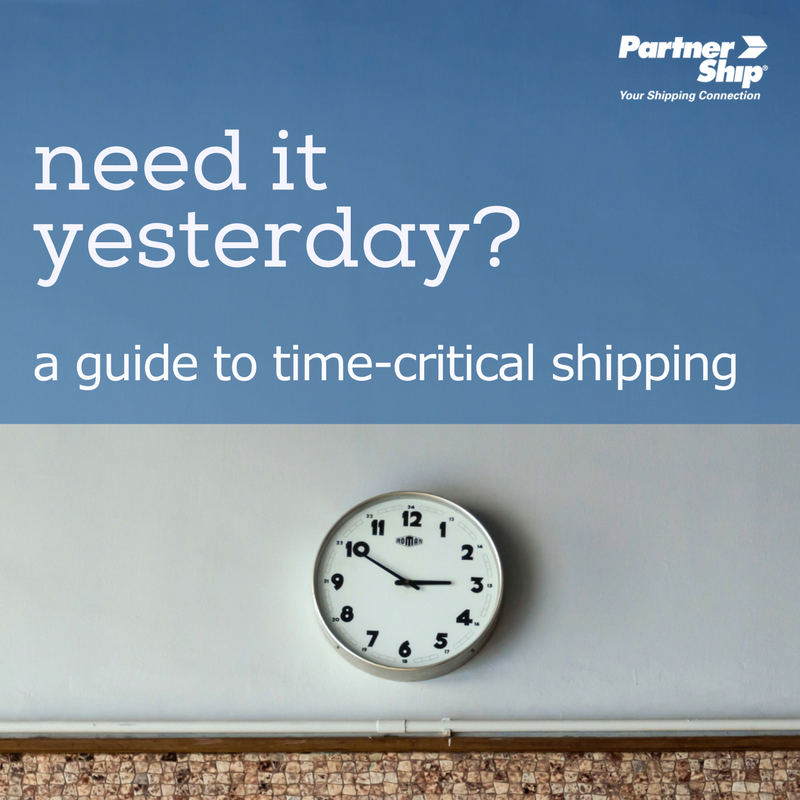 Accelerated shipping options fit between standard and time-critical premium services, typically cutting one or two days off of typical transit. The average price for the faster service is about 15% higher than standard LTL services, but differ based on the distance and type of shipments. Time-critical and expedited freight options are premium services offered by national carriers, specifically created to meet stringent delivery deadlines as determined by the shipper. An expedited shipment typically travels directly from pick-up to delivery, with no loading or unloading at terminals and often with dedicated equipment. Teams of drivers often haul in shifts in order to decrease transit times. In especially urgent situations, multiple modes of transit may be used, such as a combination of truck and air freight. Common urgent delivery services include same day, next day, and cross-town deliveries and while there is no limit on distance, the more extreme the request, the higher the shipper will pay. Though urgent services are often viewed as "problem-solving" freight solutions in emergency scenarios, more and more shippers are using planned time-critical options as part of their holiday shipping strategy. Just-in-time manufacturers also utilize these services in order to fulfill and meet demand. Though these expedited freight services may come with a higher price tag, oftentimes the cost is offset by reducing inventory costs. An extra benefit to using these services is the added safety and security of the shipment, due to decreased reloading and an escalated level of tracking. Even despite solid holiday planning and logistic strategies, shippers may encounter scenarios that require guaranteed or urgent shipping services. If you're not sure which time-critical LTL shipping services are right for your shipment, our shipping experts can find solutions that make the most sense for your business and your wallet. Get a free expedited freight quote today!